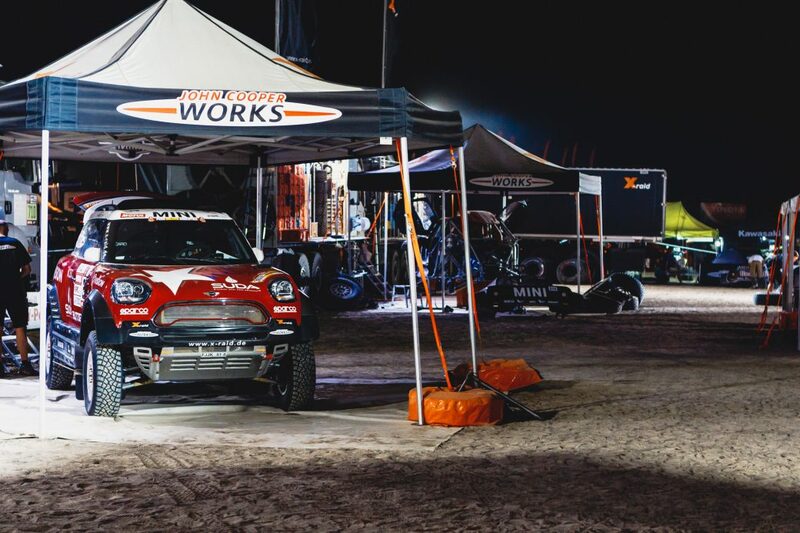 We were invited by MINI, to share our experience of the event as they’ve previously won the race 4 times in a row with the X-Raid team, and some of the best rally drivers in the world. 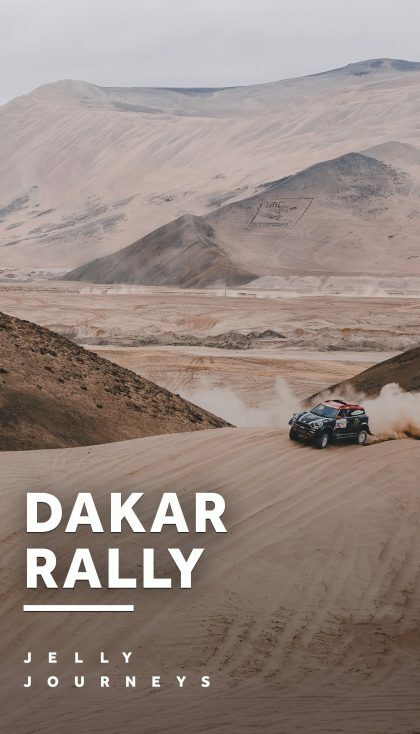 The first 30 years of Dakar Rally, the route was from Paris, heading south into central Africa, ending in Dakar. 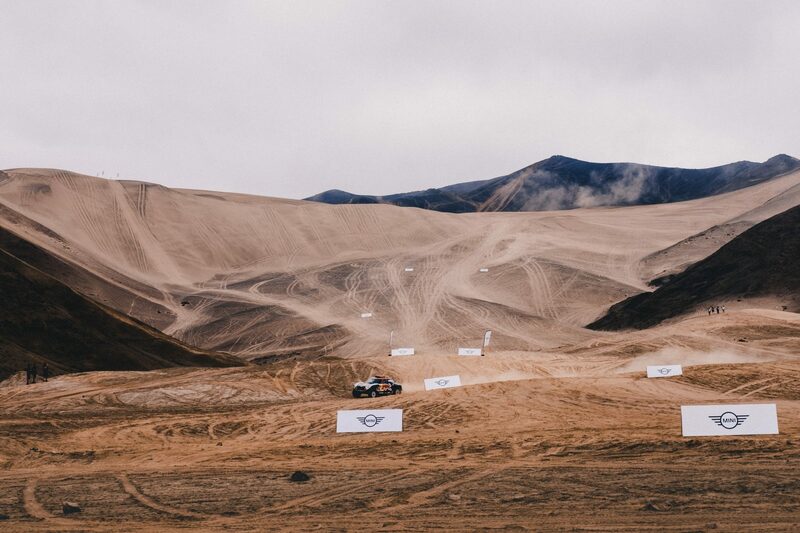 However, for the last 10 years, it’s been held in South America for improved safety across the route and greater options for diverse terrain. 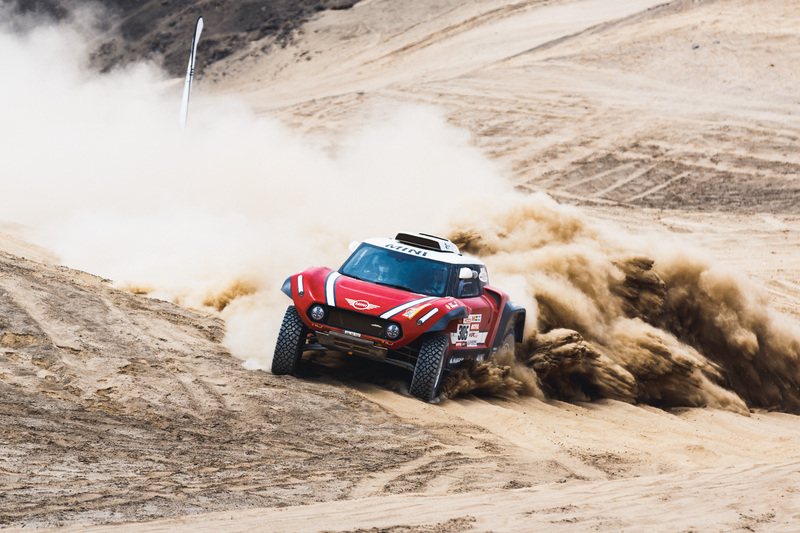 It’s a competition with around 500 competitors across 4 categories: cars (4 wheel drive or 2 wheel drive buggies), motorbikes, trucks and quads. 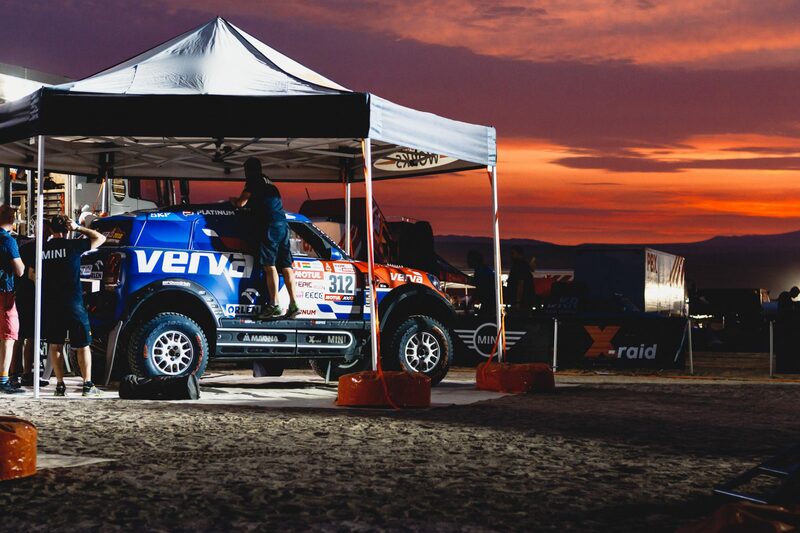 There are 12 stages to the 15 day event, covering a distance of over 10,000km. 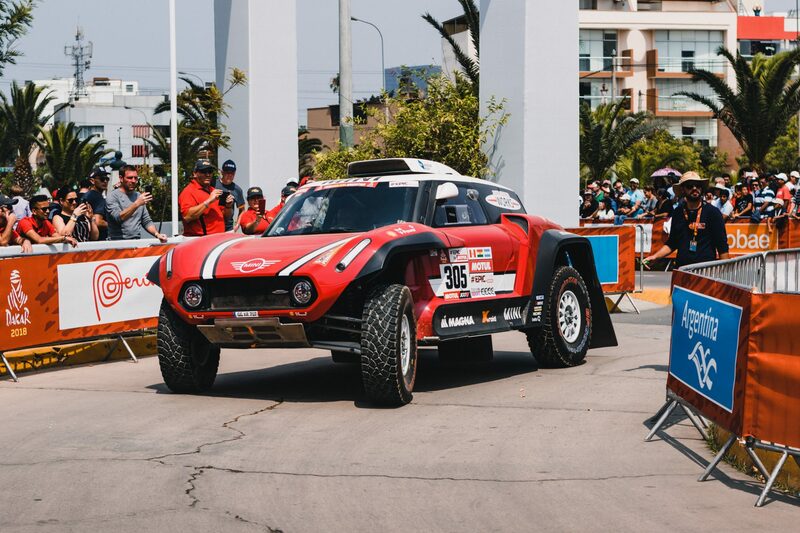 This year the rally started in Lima, Peru, then headed through Bolivia before finally ending in Argentina a little over two weeks later. 17 hours of travelling and a quick sleep, our first day started with a ‘Shakedown’ event. 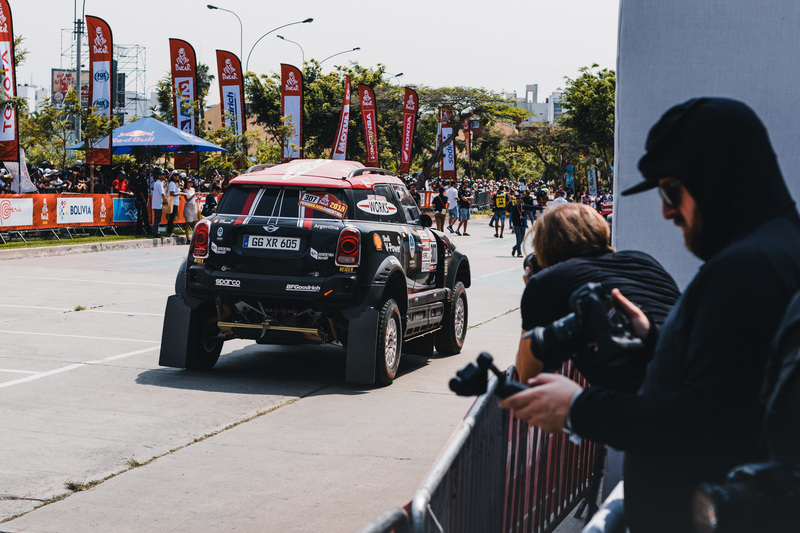 We were taken to an open area in San Bartolo, where MINI was hosting various members of the media, to see the cars up close and catch up with the X-Raid Team. 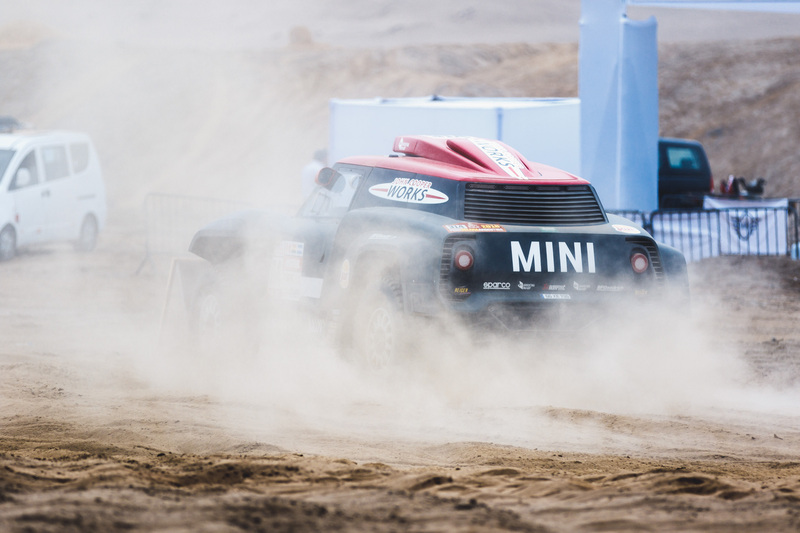 We were able to walk around and get up close to the cars throughout the sand dunes whilst they were driving, which was actually quite unexpected! 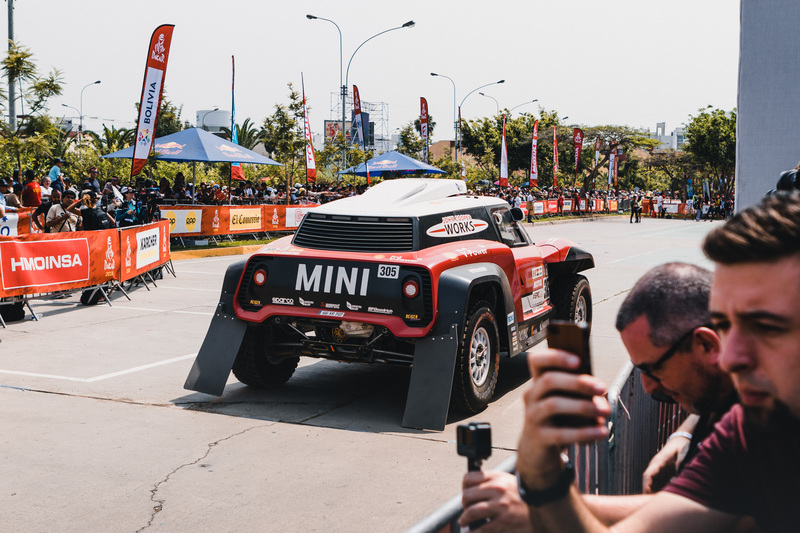 From a distance, the X-Rain MINI cars look like their road-worthy counterparts, give or take a few steroids in their fuel. 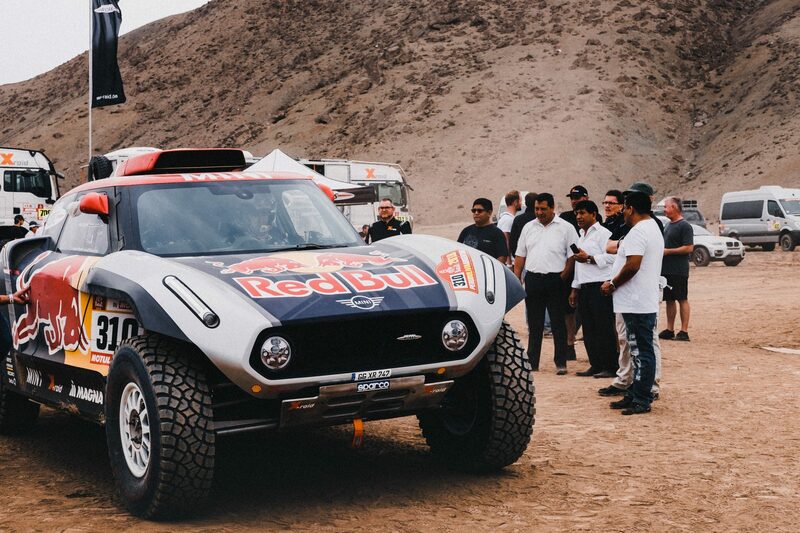 But don’t be fooled into thinking they just have bigger tyres. 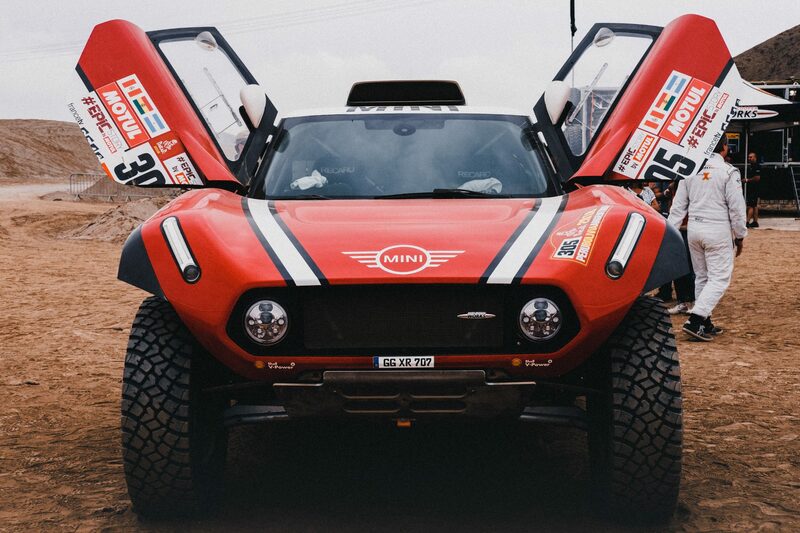 These vehicles are completely custom built, beasts of machinery! As you’ll have noted in the video above, they sound like jet engines on wheels! 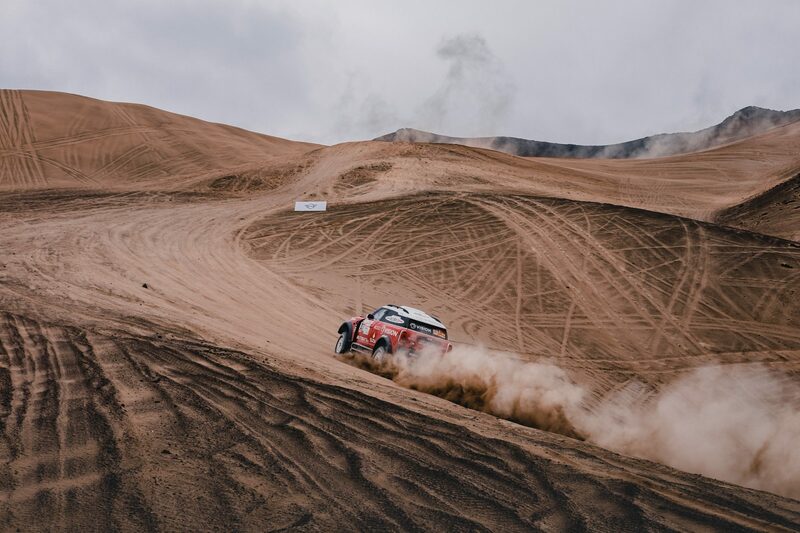 The drivers were mainly doing a loop track through the sand dunes to test the cars and prepare for the rally, but they were also showing off a few tricks to everyone along the way. This turned out to be the perfect opportunity for us to warm up and get a few photos during our first time capturing rally photography. 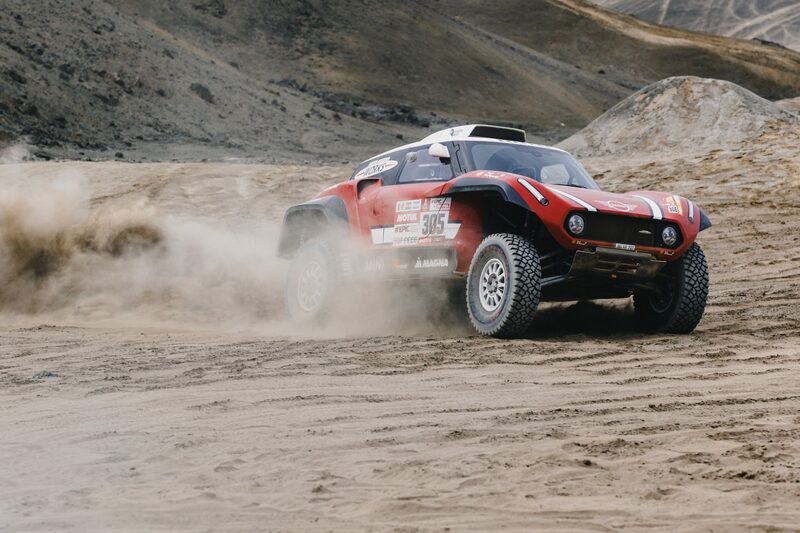 We were incredibly lucky to get a ride in a car with one of the top X-Raid team drivers, Mikko Hirvonen. 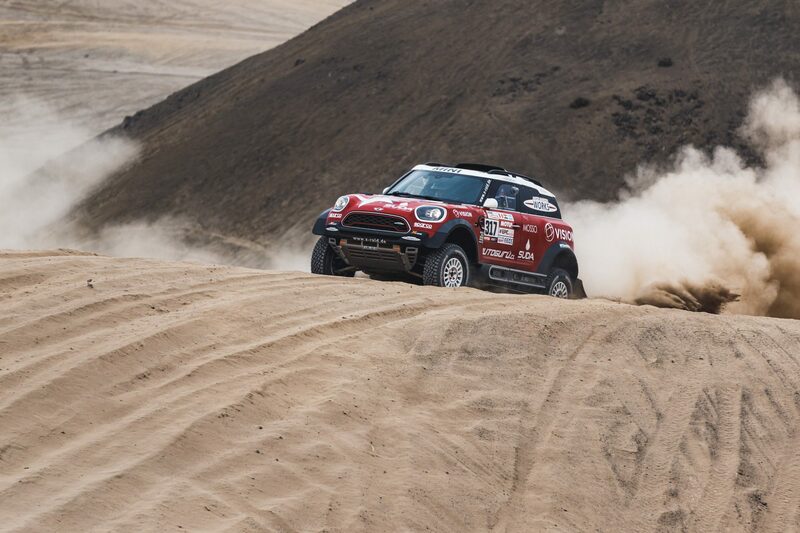 It was an absolute bucket list moment for Joe, as he’s always wanted to race in a rally car. 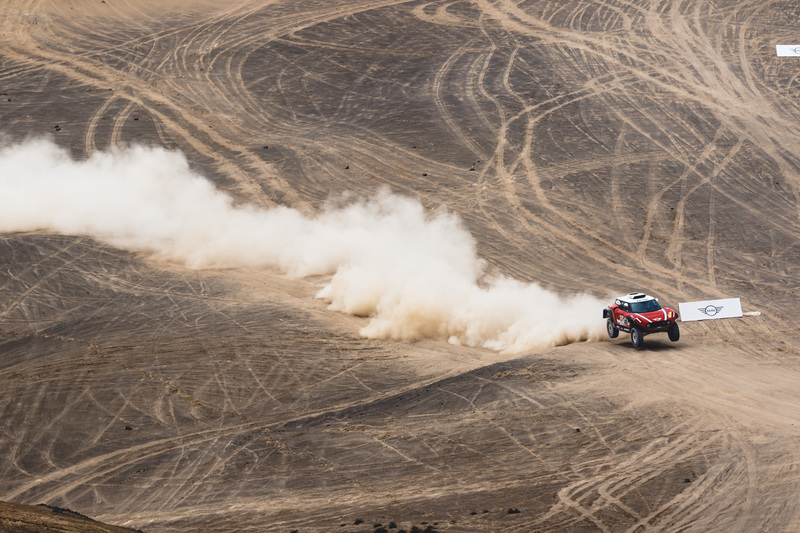 With an insane speed of 175km/h across rough terrain and sand dunes, it was such an unforgettable ride. Unfortunately, we couldn’t film inside the car as they told us not to hold onto anything, and there was no way of securely mounting a camera in the time available. There are some clips of some drone footage from when we were in the car though. And yes, the ride was as awesome as it looked! The corners and lines Mikko was turning in the sand dunes and the views from the top were just unreal. 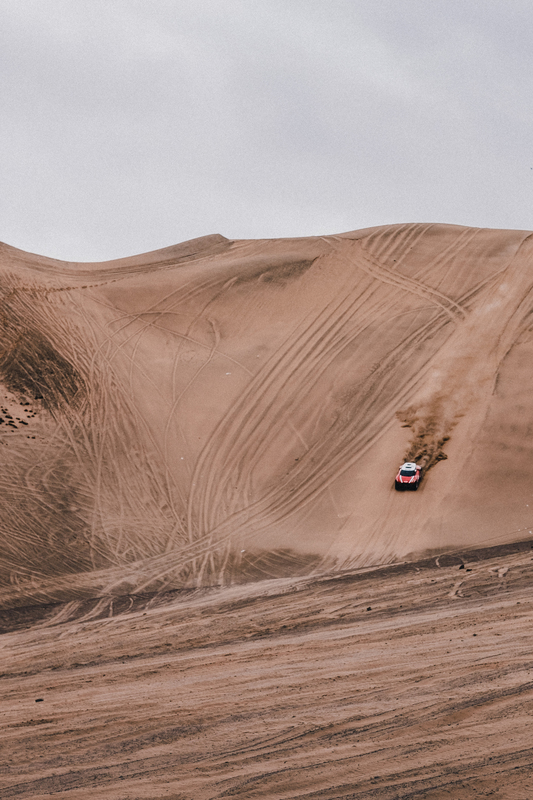 At one stage, we were literally dicing along multiple peaks of a sand dune at breakneck speeds. 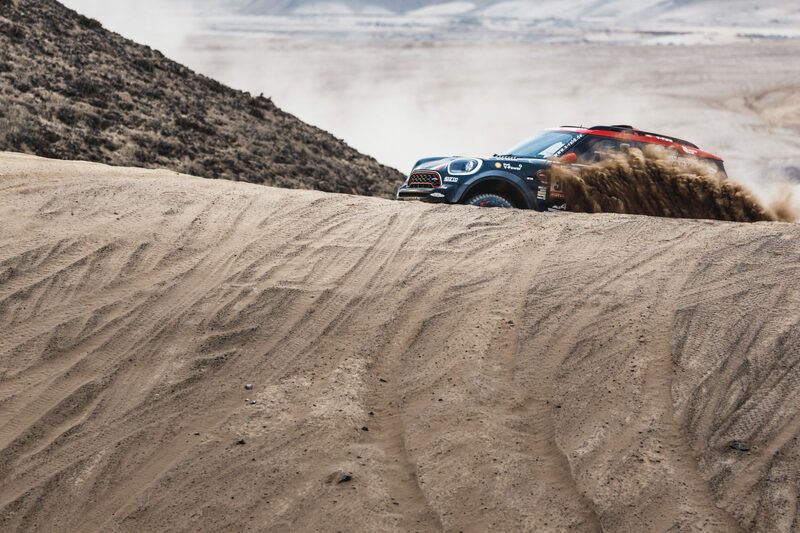 The fact that we didn’t tumble and roll off the edge of the dune, shows just how skilled a driver you have to be to compete. Although we couldn’t film it entirely, it’s one of those moments that’ll be stored forever in our minds and somewhat nice to have privately to ourselves. The only way we can describe it is to think of the best and fastest rollercoaster you’ve ever been on. 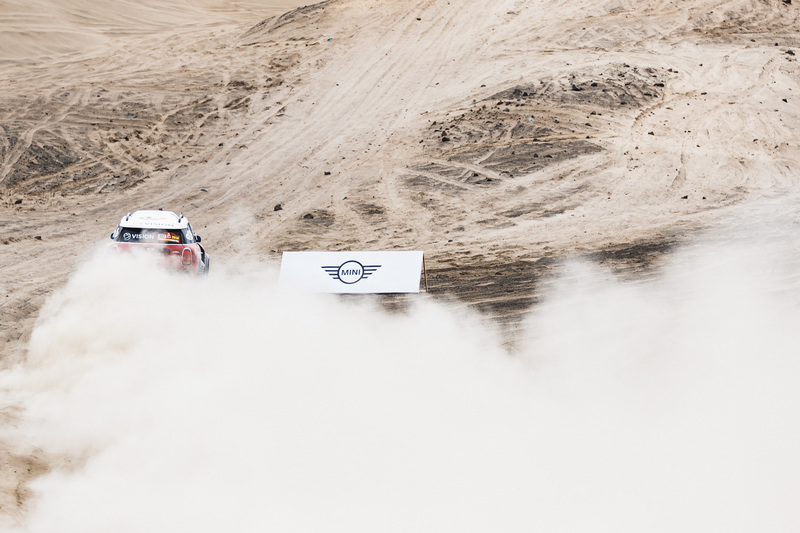 Now remove the idea of knowing exactly which direction the track will take you in, add a bump and bounce factor of 10 and multiple that uncontrollable grin on your face by 100, and you’re pretty much there. It was hands down, the best ride I’ve ever had. 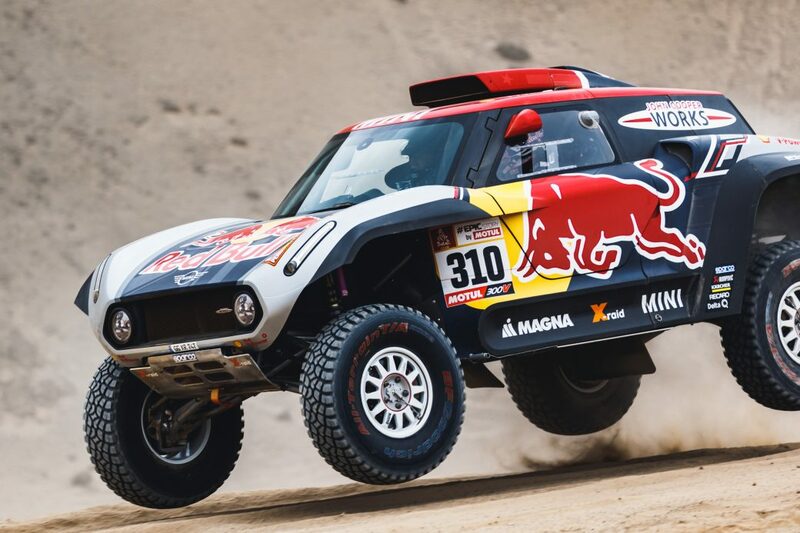 The Dakar Rally started in the city of Lima, Peru. 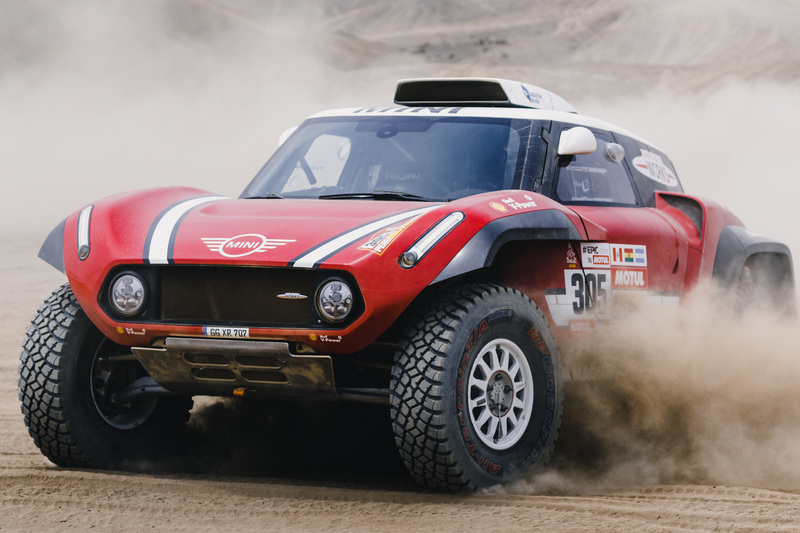 The official opening of the rally features introductions to the drivers and cars that were participating, before they head off south towards Pisco for stage 1. 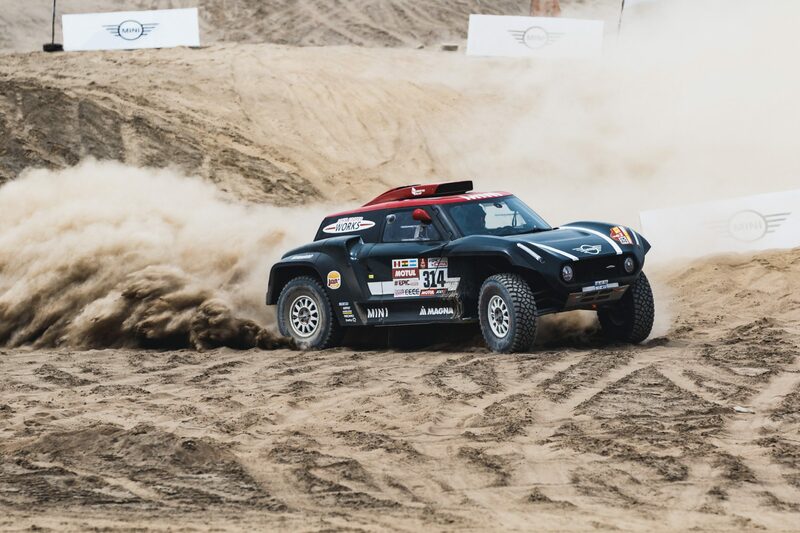 Soon after the meet and greet, we went back to our hotel and picked up the MINI Countryman cars to follow the rally in convoy to Pisco, where the next stage of the race started. The MINI Countryman was super spacious and comfortable to sit in. 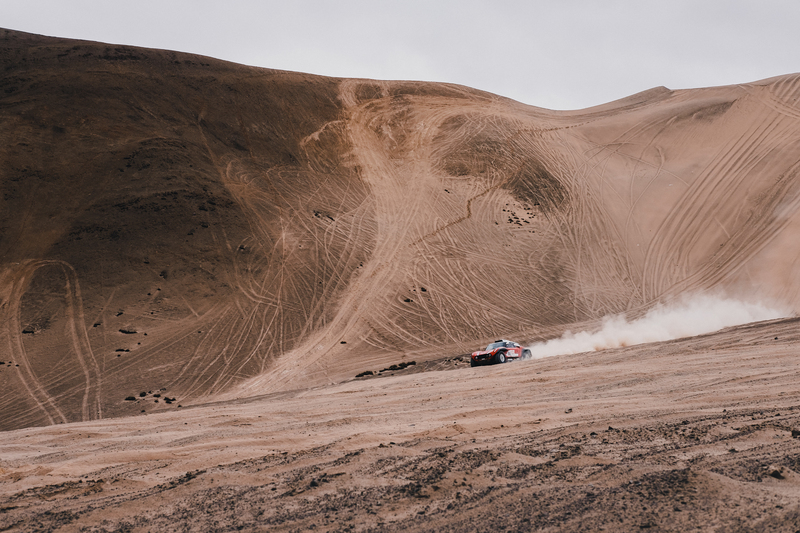 Throughout the 3 hours from Lima to Pisco, we had a good test of the car, but given the logistics of our trip, it all still felt incredibly quick. 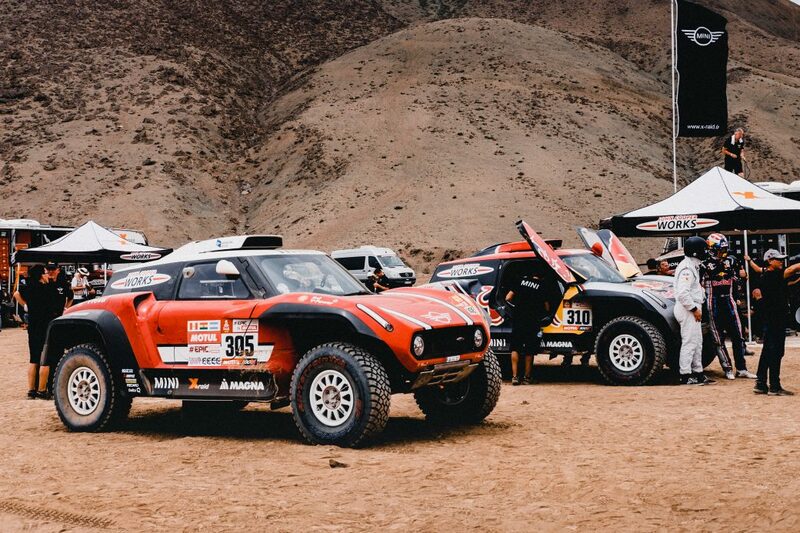 We stayed with the X-Raid team at the bivouac, taking a proper look at the cars as the mechanics made sure they were ready for the next stage of the rally. Literally camping right next to the team, we could hear them working on the cars all night in preparation. They were still working on them at 5am when we drove off to Ica! 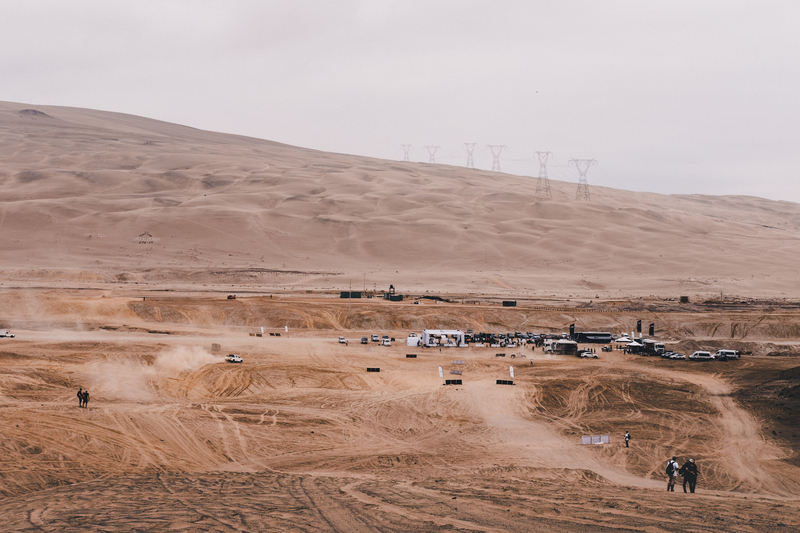 The drive to Ica was through La Huacachina to a viewpoint to see the Pisco Loop stage, before the rally continues further south towards Bolivia. 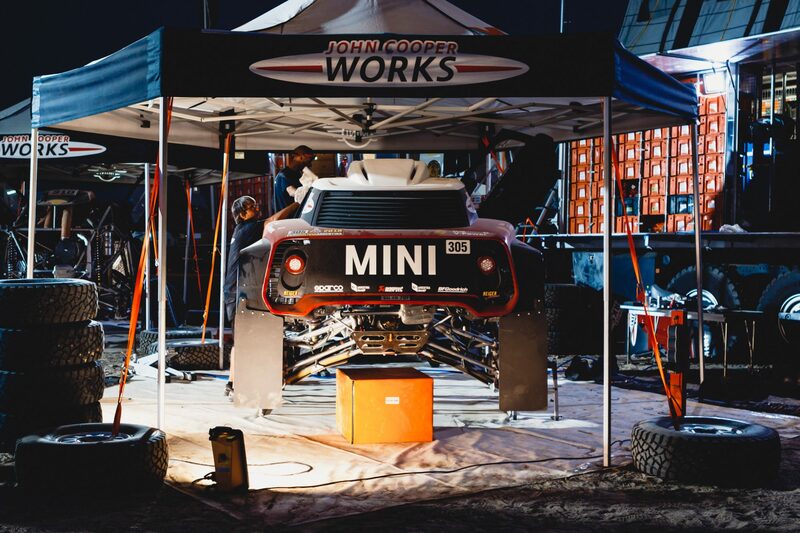 To be completely honest, I wasn’t aware how lucky I was to be able to experience this trip and be surrounded with some of the top rally drivers in the world. I was very naive in not knowing anything about the racing industry. 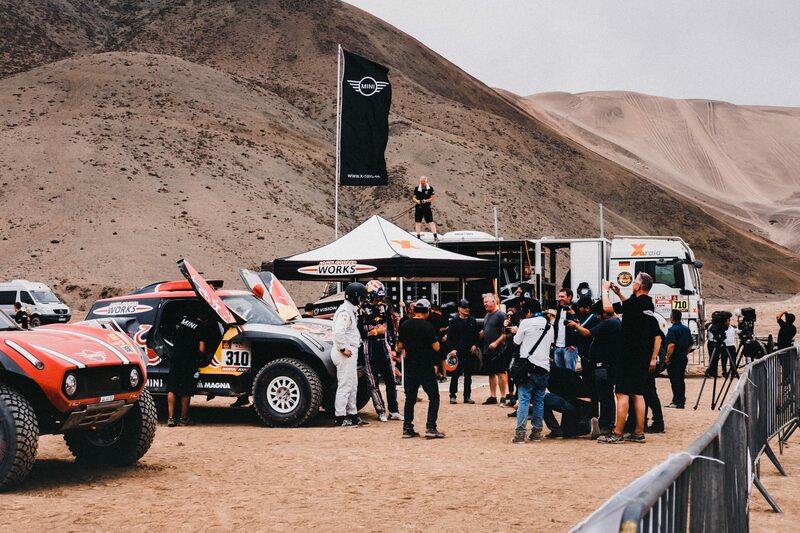 However, when speaking to people on the trip, whether they were drivers or press, one thing that was so clear was just how passionate everyone was about racing. They truly love what they do, and hearing people talk for hours and hours about cars was actually really interesting. Our itinerary for this trip was pretty packed with quick introductions of the rally and the city. We did manage to explore Lima for a few hours with the group on one of the days though. We were able to walk around for a bit to get a feel for the city, however I really don’t think we can claim to say we’ve seen Lima or Peru. 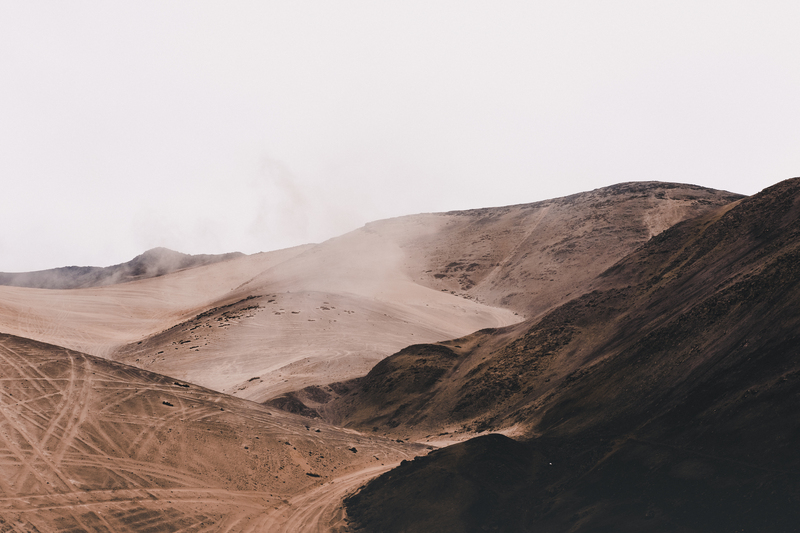 We’ve started the year off on the right foot with some travel already, so make sure to stay up to date with our future blog posts from our base back in the UK! Thank you Antoine! The experience was unforgettable and we were very lucky to go! Thank you so much for the kind words and I'm really glad you appreciated this post :) It was a bit different to the usual travel post so it was nice to do something like this! What a great experience you guys had and thank you for sharing, you looked to have a really good time. I am really enjoyed your vlogs on your trip. I'm new to the blog and YouTube channel but am throughilly enjoying the content and production.